BES is nimble and adaptable. Our strength comes from an unparalleled breadth and depth of engineering talent in a small agile team. This allows us to quickly adapt to your unique product’s needs and complete projects in timelines that other design firms can’t touch. Our founders Dan Bodenstein and John English wanted to make engineering design and manufacturing more accessible so that their clients could provide creative solutions for proven market needs. What started as an outsource opportunity quickly grew into what is now Boulder Engineering Studio, a full-scale engineering design and product development firm. We help create and develop products that we believe can change our world. Boulder Engineering Studio (BES) provides project design and product development for a variety of applications and diverse clientele. From industrial tools to children’s toys, medical devices, and the Internet of Things, we can design and propagate your project from concept to market. Boulder Engineering Studio’s multi-disciplinary team embodies the expertise required to create innovative products to exact customer expectations. Even though Austin is the youngest graduate on the team, Austin has been with BES, initially as a Jr. Developer since 2014. In that time, he's been immersed in many of the projects we've been involved in. 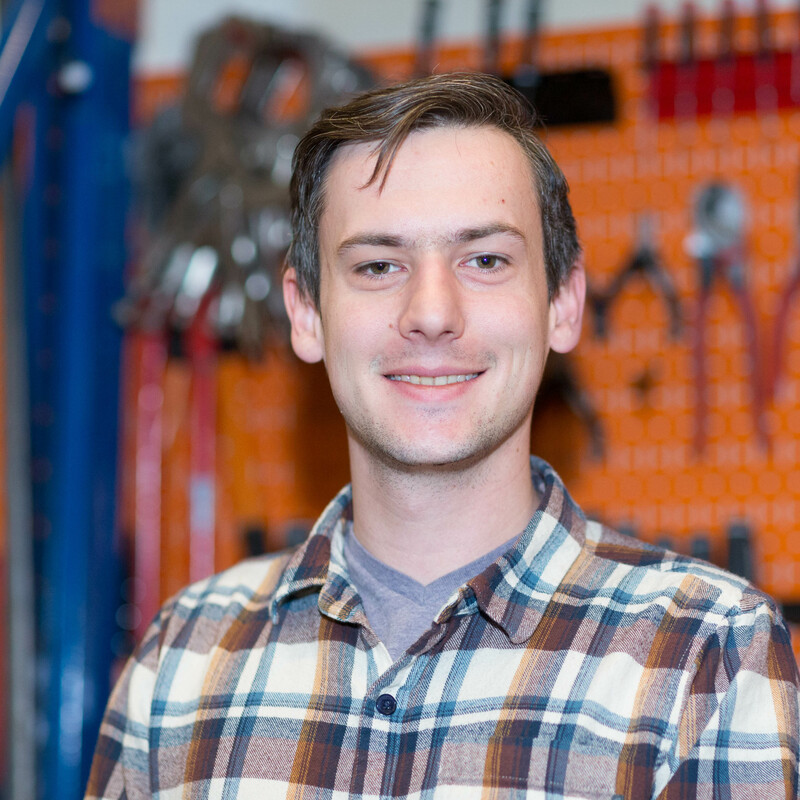 Austin is almost exclusively focused on software development however with a strong background in schematic review and optimization, he helps bridge the gap between firmware and physical layout to ensure designs are fully optimized. Because of our wide range of clients and projects, software development can be of different complexities, such as bare-metal firmware applications which must run without any third-party software support all the way up to full Linux stacks. Austin has worked on several wireless communication applications, one of which developed a full low-power RF stack running on custom hardware. He also has experience with feedback control systems that range from high-speed DC motor drivers to ultra-high precision (and low-cost) temperature controllers. Austin enjoys working on personal electronics projects, mostly sound-reactive LED art. He and his collaborators are interested in creating installations which provide an aesthetically-pleasing yet rigorous visualization of various audio effects. Don’t worry though, Austin doesn’t spend all his time staring at computer screens. He is an avid rock climber and can be found at The Spot most evenings during the week. When time and weather permit, he also climbs at the many outdoor rock faces nearby. Before moving to the United States from his home country of England in 2012, Max participated in projects with Rolls Royce and spent a summer internship with Thales UK working on military defense projects. 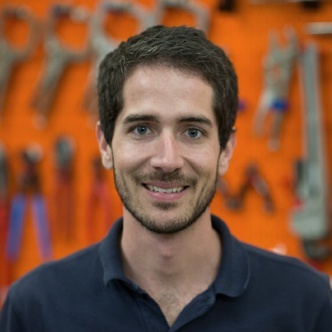 Max’s primary responsibilities include designing and building mechanical interfaces of various products throughout production, including design for testing and manufacturing. His attention focuses on various manufacturing processes, such as machining, molding, and printing depending on project needs. Outside of BES, Max has a fairly active life. As a child he grew up in the world of ski racing since his dad is a former competitor. Weekends are spent on the slopes of Winter Park, during the summer as a downhill mountain bike racer and teacher and during the winter as a snowboarder and instructor. When he’s not tearing down mountains, Max channels his British roots for the Boulder Rugby Team year round. 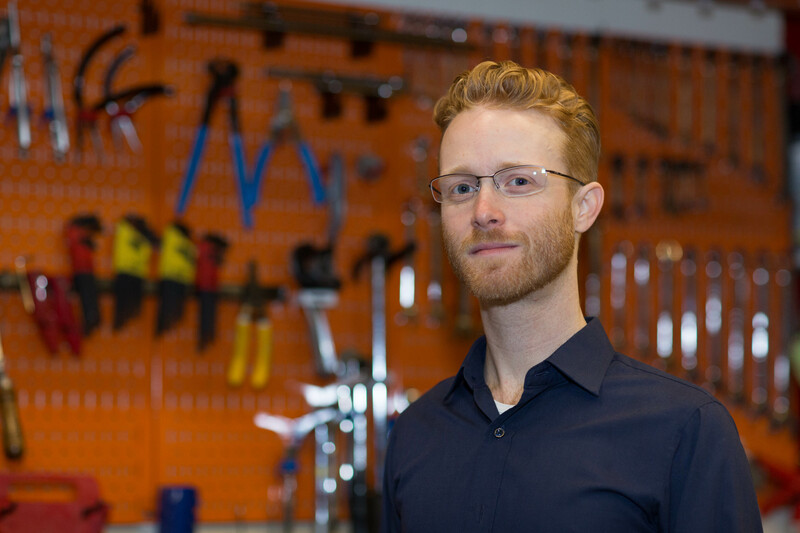 Before joining our team in 2014, Billy was designing consumer products that heavily involved motor control and lithium-ion batteries. He also has experience working with and designing automotive electronics, including a Formula SAE program. 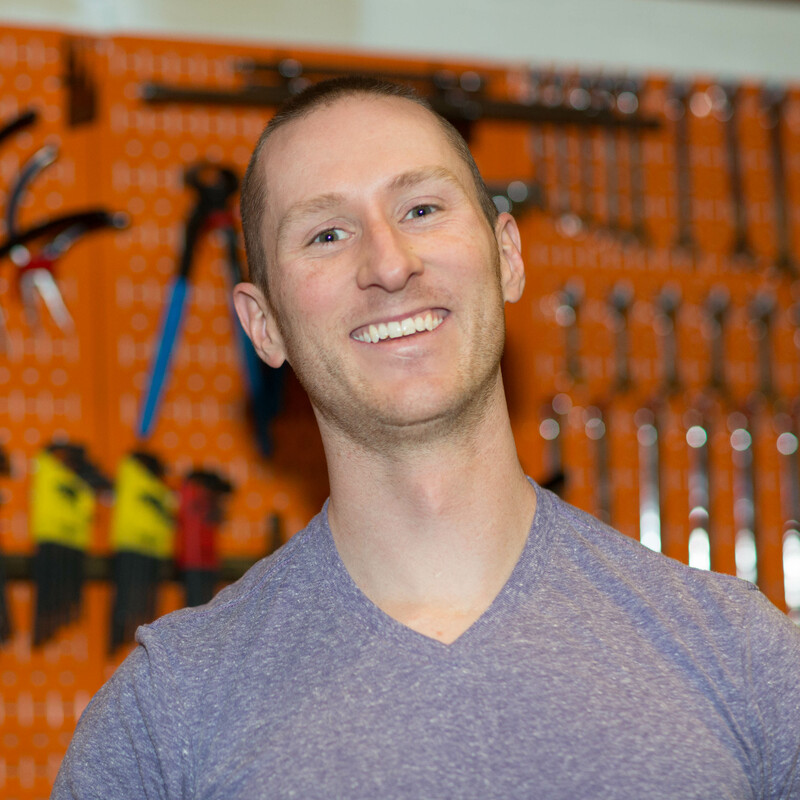 Since beginning with BES, Billy has further expanded his expertise to include electrical engineering. His opportunities feature several RF-based projects with technologies such as Bluetooth, Cellular, WiFi, and other proprietary systems. Outside of work, Billy finds himself involved with several different hobbies (one could say maybe too many hobbies). He thoroughly enjoys being outdoors, especially hiking, skiing, mountain biking, rock climbing, and maybe the occasional yeti hunt. He prides himself on skills in various pseudo-sports: foosball, wiffle ball, and skeeball just to name a few. Billy also enjoys building, prepping, and driving in amateur racing leagues, usually involving some sort of ill-advised engine swap. If you ever need advice on how to put a Cadillac Northstar V8 into the backseat of a mid 90’s Nissan Maxima, we recommend asking Billy. Before coming to BES, Ryan worked in the assembly and low-volume manufacture of small electric vehicles. 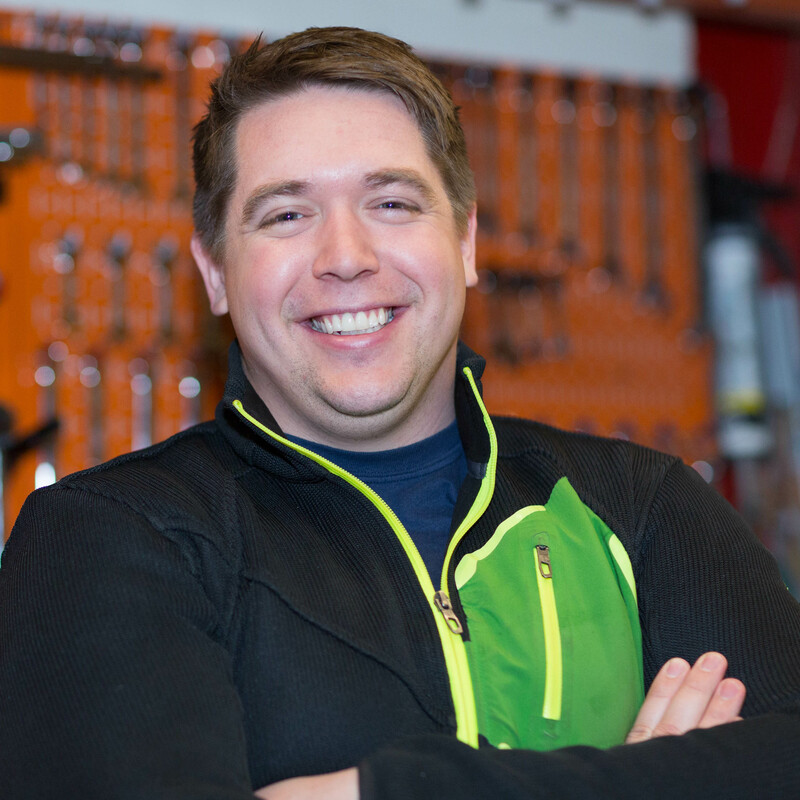 With prior experience as a car mechanic, he has always enjoyed working with his hands and maintains a keen understanding of design for assembly and manufacture. He holds a bachelor’s degree in physics and biochemistry with a pre-medicine focus, and has been certified as an EMT. Ryan studied ACL tissue regrowth throughout his graduate studies and volunteered in novel cancer research. 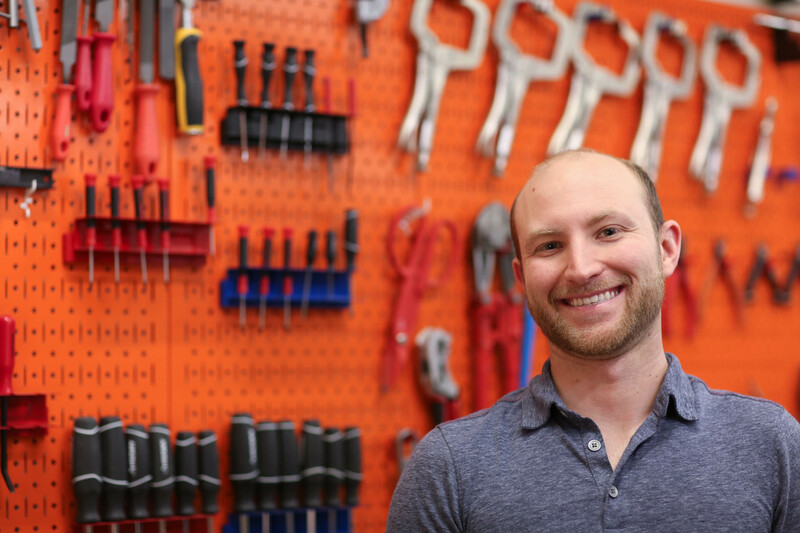 Ryan oversees every part of product design from inception to manufacturing, acting at various times as a project manager, design engineer, and occasional technician. His designs with BES clients have been sold in retailers like Costco and McGuckin’s Hardware. Others may be found in cockpits, automobiles, and kitchens across the globe. He specializes in optimizing designs for an intended audience, target production volume, and preferred manufacturing technique. Ryan continues his success forming local and offshore manufacturing supply chains. His efforts includes forming important partnerships with manufacturers throughout the world and often involves refining designs for each manufacturer’s unique capabilities or requirements. He enjoys working closely with clients to create initial product sketches with an eye towards industrial design and moving rough concepts into manufacturable masterpieces. Like a lot of Coloradans, Ryan can often be found climbing on a rock wall, hitting the slopes when there’s snow, or commuting by bike. He loves to cook, frequently inventing new recipes, and tries to find time for playing more volleyball and tennis. Ryan recently bought a new pair of inline skates and reminisces about the days when that would have been considered cool. Kevin primarily focused on rocket propulsion during his undergraduate studies, including construction of a large hybrid rocket engine. His interests shifted focus towards advanced structural simulation and modeling during his graduate studies. Before joining our BES team, Kevin invested time as an analyst and simulation specialist at GeoMega, an environmental company specializing in groundwater modeling around mining facilities. 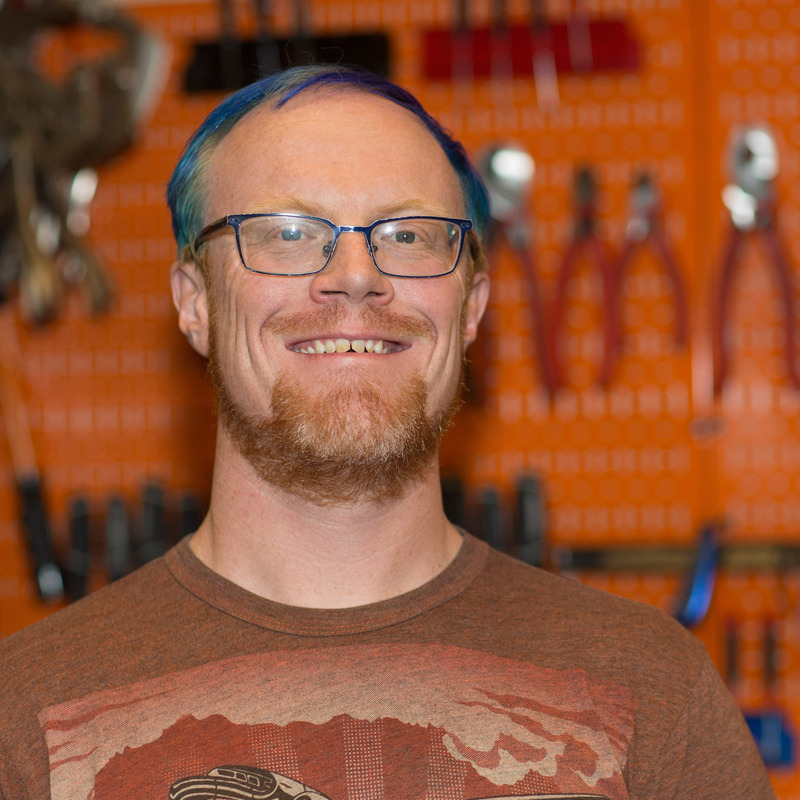 He also gained experience as a solar design engineer at Cool Energy, Inc., a Boulder-based startup focusing on solar-thermal power systems and Stirling engines. Between his undergraduate and graduate studies, Kevin was an engineer at ATK Thiokol, working on the nozzle hardware for the Space Shuttle Solid Rocket Motors. Kevin is our resident rocket scientist at BES. His main title is Analyst, but he wears many mechanical engineering hats at BES. Kevin’s specialty is simulation and analysis of difficult physics problems, particularly those involving fluid dynamics, heat transfer, and structural dynamics. He’s worked on a variety of projects from simple consumer products to medical devices and high-performance aerospace products. Kevin’s work with simulation and modeling has been crucial for the success of several BES project designs and also in avoiding dead-end or problematic design paths. Kevin is an expert at solving analysis problems including heat transfer and fluids problems, modeling heat exchangers, or cooling systems. Kevin has a variety of extracurricular activities with his main hobby being skydiving. He is an avid jumper and tries to go as often as work and weather permits! Various other outdoor activities available in Colorado also draws his attention. Kevin tries to go skiing as much as possible during the winter and also enjoys climbing, hiking, and camping. When he’s not playing outdoors, Kevin’s like to create LED art, play video games, and hang out with friends.